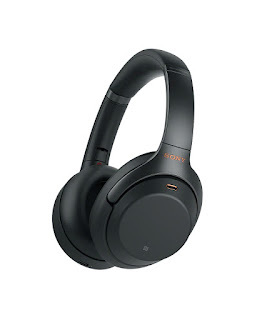 Further strengthening its position in audio segment, Sony India today added WH-1000XM3 around ear headphones to its highly-accredited Sony 1000X family. This headband-style around ear model offers all the much-loved features from the previous WH-1000XM2, along with adding other multiple key improvements, including upgraded Noise Cancelling performance to enhance listening and user experience. WH-1000XM3 benefits from a newly developed HD Noise Cancelling Processor QN1 which has approximately four times greater performance than the previous processor. This newly-developed component can negate transport noise like its predecessor, and also further cancels out daily background sounds such as street noise and human voices. It further features Dual Noise Sensor technology that captures ambient noise with dual microphones and then passes the sound data to the processor to cancel the noise. These premium headphones are designed keeping in mind the frequent travelers. The WH-1000XM3 delivers exquisite High-Resolution Audio with a 40mm driver unit with a Liquid Crystal Polymer (LCP) diaphragm that handles heavy beats and can reproduce a full range of frequencies up to 40kHz. This enables one to enjoy listening music exactly how the artist intended. The HD Noise Cancelling Processor QN1 works not only for Noise Cancelling, but also realizes stunning high sound quality with 32-bit Audio Signal Processing and the combination of DAC with Amplifier functionality. This offers exceptionally high sound quality, best-in-class signal-to-noise ratio, and low distortion for portable devices. 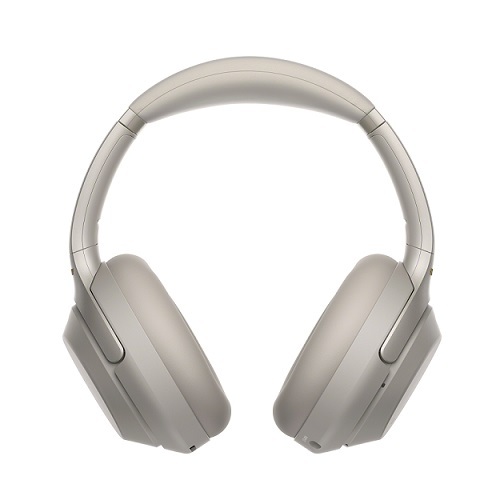 Like its predecessor model, WH-1000XM3 is also equipped with Quick Attention Mode which enables one to know what’s going on around them without taking the headphones off. User can place their right hand over the right housing to decrease music volume instantly, which allows one to quickly respond to those around them. There are other ways to control the sound too by just swiping the touchpad on the right housing to turn the volume up/down or to change track. 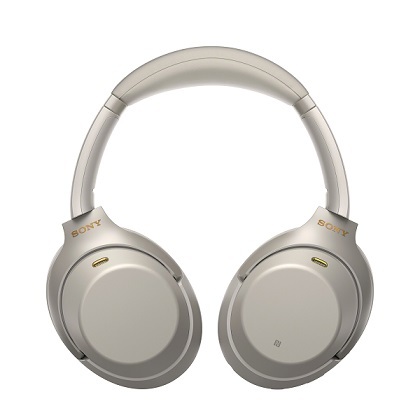 Another improvement is the Customizable Automatic Power Off function on the companion Headphones Connect app, which allows the headphones to stay on in Noise Cancellation mode without being connected to a device. The function is perfect if one wants noise reduction without listening to music. It further enables one to rest peacefully while on a long-haul flight. The WH-1000XM3 has a new, slimmer silhouette and is lighter in weight than their predecessor and they only weigh 255g. The headphones are extremely comfortable to wear as they come with deeper ear cup and a thicker headband cushion. They also come with a stylish fabric case which will satisfy the fashion-conscious and new, eye-catching color options of black or platinum silver with gold highlights. 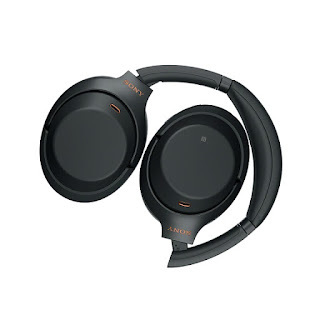 The headphones are equipped with smart listening features such as Adaptive Sound Control which automatically detects user’s physical situation and activity such as traveling, walking, and waiting, then adjusts ambient sound settings. 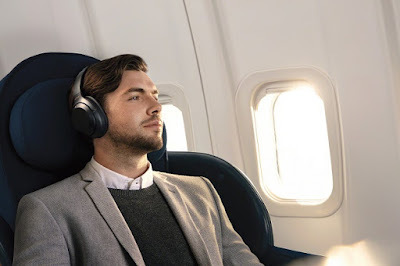 With 3 auto mode-changes for the 1000XM3’s, one can hear all ambient sounds together with music when walking, hear announcements while waiting at the airport lounge and can be immersed in music with Noise Cancellation when travelling by train or bus. This smart listening experience is enabled by the SENSE ENGINE which gives users the power to tune in and out of users music at a touch. The Headphones Connect App enables to use Smart Listening by Adaptive Sound Control, control ambient sound settings and adjust the sound levels with the equalizer. With a huge 30 hours of battery life, the headphones sustain enough power for long trips.Besides offering 30 hours of battery life with Noise Cancelling and BLUETOOTH® connection, the 1000XM3 headphones have an upgraded Quick Charging function that provides five hours of wireless playback with a mere ten minutes of charging via a contemporary USB type-C™ port. Voice calls are also made clearer, with the introduction of multiple microphones, ideal for hands-free conversations. WH-1000XM3 will be available for pre-booking on Amazon and Croma from 11th to 18th October, 2018 and in all Sony Centers and major electronic stores in India from 18th October, 2018 onwards.